shop in maumee, ohio offers classes and contests. Full CAD/CAM design of tools for CNC machining. Lost foam tooling, die cast dies, and other metal working needs. Designs and produces energy efficient exterior doors made of advanced composite materials. Based in Maumee, Ohio. Fluid power components and extruded plastic products for mobile, industrial, aerospace, automotive, air conditioning, and refrigeration. Highlights the company, its products and services. Online search of distributors. Maumee, OH. Windsurf and traction kite shop located in Northwest Ohio and Maumee Bay offers Peter Lynn and Quadrifoil products. Staff profiles, list of services, and office hours. Maumee. Provides comprehensive plastic, reconstructive and cosmetic surgical services in Maumee. Toledo area USCF club. Online newsletter, races and results, course descriptions, event listings, photos, related links. Clinic specializing in sports medicine, orthopedics and industrial rehabilitation in the greater Toledo, Ohio area. Site has ask a therapist facility. Bicycle racing and sports club. Includes newsletter, activities and racing schedule. Information about special events, and photographs from past events. Based in the Maumee, Ohio area. Independent suburban hospital in Maumee, Ohio. Over 700 physicians representing 50 specialties, medical staff roster, maps, locators, capabilities and services for both inpatient and outpatient. A Toledo Metro multi-specialty eye clinic with emphasis on refractive surgery, cataract surgery, and glaucoma treatment. A multi-specialty eye clinic with emphasis on refractive surgery, cataract surgery, and glaucoma treatment. Nonprofit organization promoting the study of military history through historical miniature wargaming. Organizes three annual gaming conventions Advance the Colors, Warparty and Drums along the Maumee. Chapter, convention and membership details. immigration attorney with offices in maumee. Maumee. Service schedule and contact information. serves toledo and the eastern maumee bay community. provides a virtual tour of the facility, information about their services and obituaries. Maumee, Ohio (nondenominational). Progressive and contemporary. Schedule, driving directions, staff biographies, events, contact details, resources, and information on ministries. Requires Flash. Publishes times & descriptions of worship services, contact details, material on Christian education programs for all ages, and listings of staff, session and deacons. Private dance instruction in Maumee / Toledo, OH area. 1997 international quartet champions from maumee valley/elyria,Ãƒâ€šÃ‚Â ohio. maumee valley chapter of the society for the preservation and encouragement of barbershop quartet singing in america, inc.
SiteBook Maumee City Portrait of Maumee in Ohio. 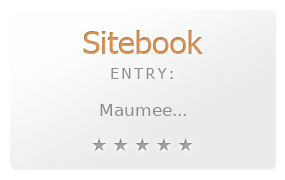 This Topic site Maumee got a rating of 4 SiteBook.org Points according to the views of this profile site.